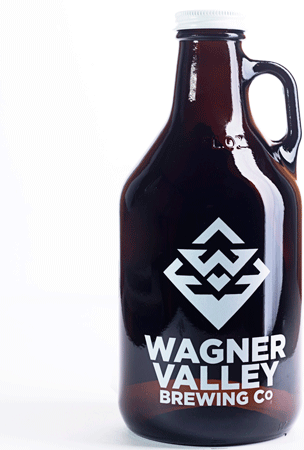 Small glass jug growler. Holds 32oz (half growler size). Can be filled at the brewery.